I begin this book by introducing my seven Master Teachers of Noh and what were my lessons learned from each. 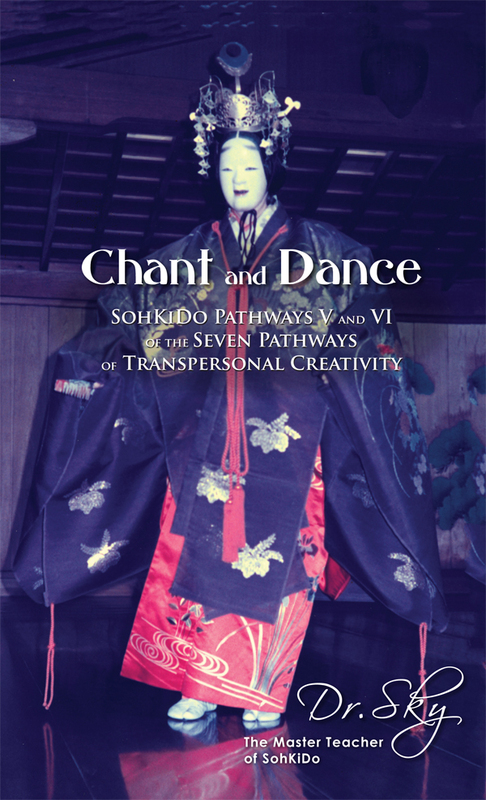 It introduces some of the influences on its practices that have inspired the creation of the transpersonal chant and dance for Therapeutic Noh Theater. I have always intuitively created my own pathways acknowledging also what is being done in the field now. This book is a kind of autobiography expressed though the art of chant and dance exemplifying my life as an artist and a creative arts therapist. It synthesizes ancient Finnish, western and eastern cultural wisdom traditions, and transpersonal psychology with some influences from the contemporary therapy practices focusing on Individuals with Differing Abilities. In this book the focus is on music, chanting, rune singing, lamenting, and dance kata, all of which are directly projected from one’s heart practiced exclusively in Therapeutic Noh Theater.